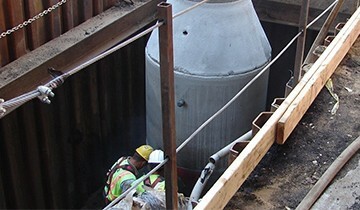 KKCS has provided on-call general engineering services to BART for more than 15 years. During this time, KKCS has provided engineering design, design support during construction, and cost estimating for various station improvement and modernization projects. Some key projects are described below. KKCS provided structural and civil engineering services for this $5 million modernization of Ashby Station. 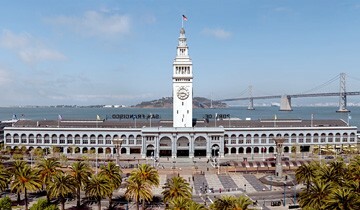 Improvements included enhancements to the main entry, significant structural steel work, signage and lighting, intermodal connections, street level signage, lighting and ceiling systems, relocated bicycle storage systems, and new finishes. KKCS led the design efforts for the station retrofit and finite element analysis as well as supervised the structural design calculations, contract drawings, and specifications. KKCS provided civil and structural engineering support for the BART Lafayette Station Wayfinding, Path, and Signage Improvement Project. KKCS designed a new ADA ramp which entailed the demolition and restoration of concrete, earthwork, metalwork, drainage, relocation of existing utilities, and 10-foot retaining walls to respond to challenging site conditions. KKCS utilized advanced SAP2000 models for structural analysis, soil-structure interaction, and slope stability/drainage calculations. In addition, KKCS provided post-design services during construction. The Millbrae Intermodal Terminal is an at-grade station located in northern San Mateo County. It is currently the largest intermodal terminal in the US west of the Mississippi and consists of three ground-level tracks for BART. KKCS prepared cost estimates, defended the client against claims made by the contractor for additional compensation, and negotiated change orders. This project provided upgrades to the Essential Power System for 34 existing BART stations, three vent structures, and three yard facilities. The Essential Power System provides emergency operations in the event of a failure in the normal power distribution system. KKCS prepared a construction cost estimate based on 95 percent complete drawings and specifications for proposed upgrades and modifications.